With the variety of life insurance and financial products we provide, we can help you meet a number of business and financial needs. Please review the full range of products and contact us to help you fully analyze your needs and recommend appropriate solutions. 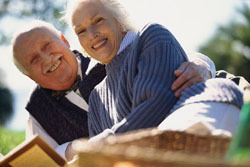 Life Insurance - Many people think that life insurance is only for people with families. While it is true that life insurance can help provide for the needs of dependents, life insurance also can be an important part of a well-thought-out estate, business succession or charitable giving plan. And permanent life insurance offers many living benefits as well, such as tax-deferred cash value accumulation. For all of these reasons, life insurance can be important for someone starting out – or for someone who's starting over. You can use the articles below to help you learn more about which annuity might be right for you. Income annuities are used to generate a stream of income payments that is guaranteed to last for as long as you need it to – even for the rest of your life. Lifetime Income Annuities - An income annuity where income payments begin immediately - one period after the annuity is puchased. It is designed to provide you with predictable income monthly, quarterly, semi-annually or annually, no matter how long you live, and regardless of how the financial markets perform. 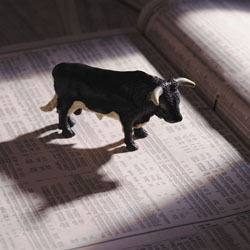 Investments# - We offer extensive products and services to help you develop a sound, long-term investment strategy. You can choose from over 10,000 mutual funds, including self-directed, tax-deferred Individual Retirement Accounts (IRAs). We also provide products to fund plans for companies of all sizes, ranging from SIMPLE IRAs to full-service defined contribution and defined benefit plans. Other Products - Other products, such as Medicare Supplement and Medicare Advantage Plans with many great companies to choose from. Need a little help in deciding which products would be right for you and your family? Please do not hesitate to contact us for additional information. We can help you analyze your needs and recommend appropriate products. Survivorship Life - Survivorship life insurance – available as whole life, universal life or variable universal life# – covers two people and provides payment of the proceeds when the second insured individual dies. Survivorship life insurance is often used to help meet estate planning or business continuation goals. Variable Deferred Annuities# - A Variable Deferred Annuity offers the advantage of tax deferral and can be used to accumulate money for retirement. The policy’s accumulated value – and sometimes the amount of monthly annuity benefit payments – fluctuates with the performance of your investment account. There are fees, expenses and risks associated with the contract. Please be aware than assets allocated to the investment divisions are subject to market risks and will fluctuate in value. Fixed Interest Deferred Annuities* - With a Fixed Interest Deferred Annuity, the interest rate on your policy is guaranteed never to fall below a certain amount. For many people, this provides a measure of security about their investment.